Architectural evergreen tolerant of coastal exposure and atmospheric pollution. Genus of 2 or 3 species of evergreen shrubs or small trees from eastern Asia. Will grow outside in milder locations - This could include plants which would survive happily in a greenhouse or conservatory if not in a mild location. If you have a sheltered spot in your garden then it may do well here. 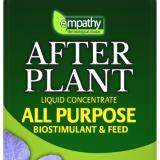 - under glass - loam based potting bright filtered light. 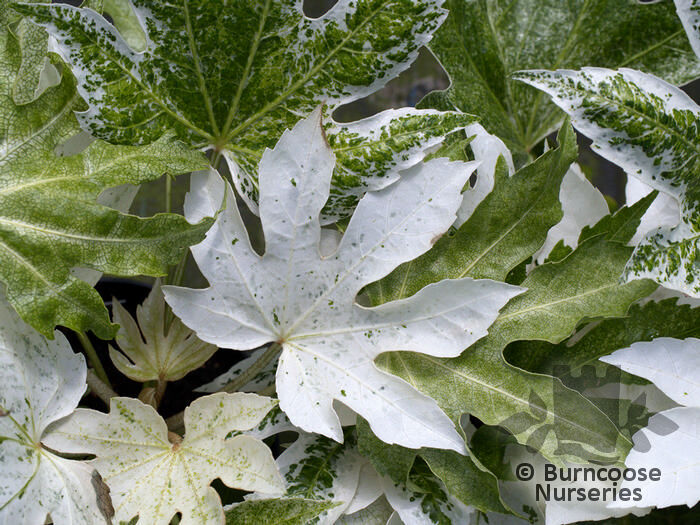 Full sun - or light shade - variegated cultivars need partial shade. Additional Features	- Good to know - tolerates coastal exposure. Pests & Diseases - mealybugs and scale insects can be a problem in greenhouse - outside cold winds can cause dieback. 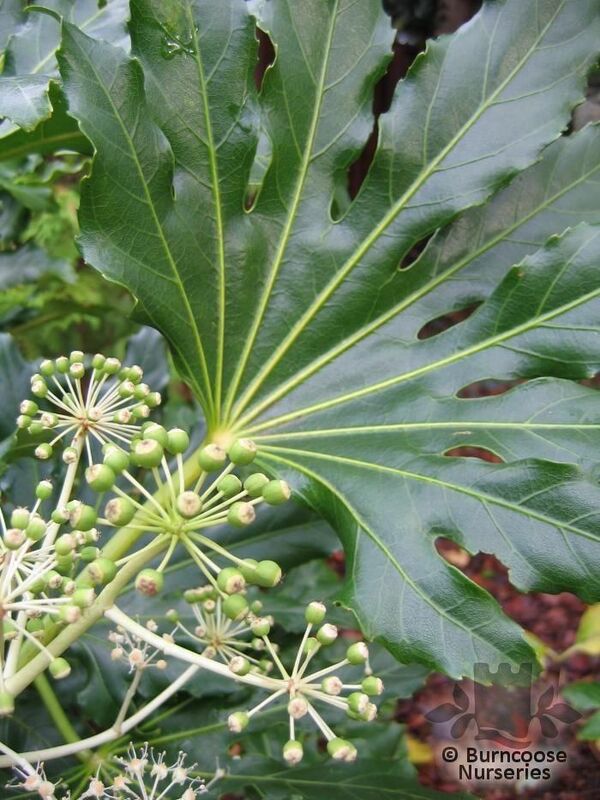 Commonly known as: False castor oil plant, Japanese figleaf palm. 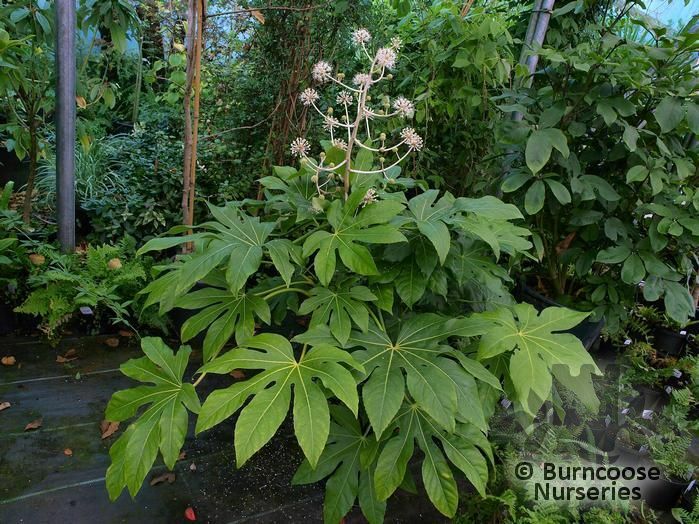 Commonly known as: False castor oil plant, Japanese fig leaf palm.